Drop Kick Books: Ebbw Vale N.U.F.C. I found this short article in a Kent Invicta programme from 1984. 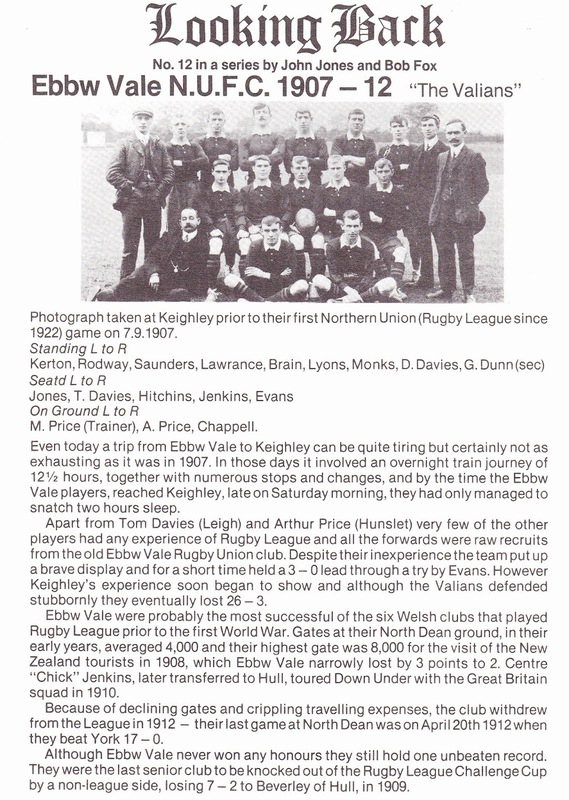 The Ebbw Vale unbeaten record was, of course, beaten in 1995 when Beverley defeated Highfield by 27 points to 4 in the third round of the Rugby League Challenge Cup. There is a post on this blog about Bob Fox, one of the authors of the article.